Process philosophy is fundamentally a metaphysical position. Its doctrine is that the universe is essentially to be understood not as substance and causality, as in the Cartesian tradition, but as process and creativity. 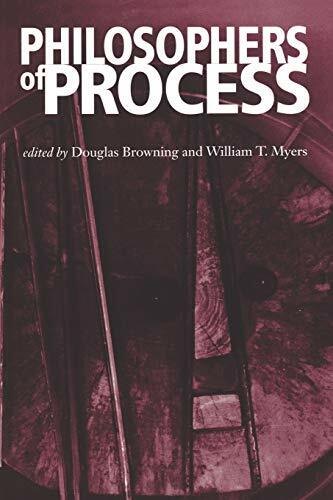 Since the publication of the first edition of Philosophers of Process, interest in American Pragmatism - particularly Peirce and Dewey - has continued to grow. In addition, there is another group whose interest is more straightforwardly metaphysical. The interests of this group tend toward the works of Whitehead, Hartshorne, and sometimes Bergson and James. Between these two groups there are quite a number of philosophers interested in teaching process metaphysics on both the undergraduate and graduate level. This book is intended to fill the need for a single volume of primary texts in this area. 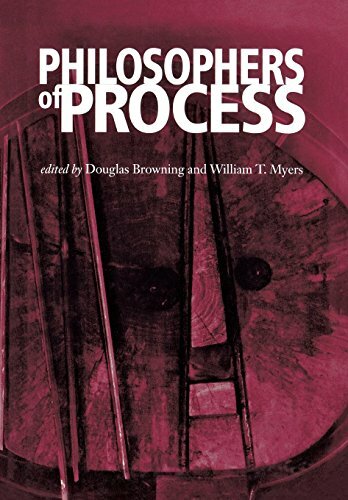 This volume is a book of readings in the philosophy of process, dealing with processes and events over substance. There are nine philosophers included in this expanded and revised edition: Bergson, Nietzche, Alexander, Peirce, James, Dewey, Whitehead, Mead, and Hartshorne. Douglas Browning is a Professor of Philosophy at University of Texas, Austin. William Myers is a Professor of Philosophy, Division of Humanities, at Birmingham-Southern College. Browning, Douglas; Myers, William T.